Keystone HDS - Submersible Slurry Pumps provide superior solids handling for the toughest heavy industrial applications. Keystone HDV - Vertical Cantilever Slurry Pumps provide superior solids handling for the toughest heavy industrial applications. 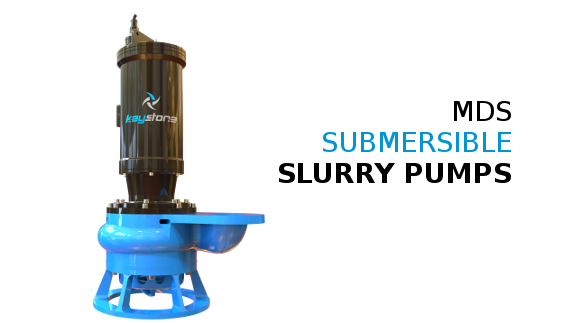 Keystone MDS - Dewatering Submersible Slurry Pumps provide superior de-watering and solids handling for heavy industrial applications. LEAVING THE COMPETITION BLACK & BLUE! The key to the versatility of Keystone pumps is a modular wet end platform, which can be used with both the HDS and HDV configurations. We also work with you to ensure the right fit and selection: we’ve got discharge sizes from 2 to 10 inches, and motor sizes up to 250HP. WE WILL GO THE EXTRA MILE TO GET YOU THE RIGHT PUMP, AT THE RIGHT PRICE! It’s no easy task to size and select a slurry pump. Along with considering pump hydraulic and mechanical characteristics. We’ve met a lot of clients over the years that have experienced maintenance issues with pre-existing sump pumps. I was asked recently to jot a few thoughts down about why I started Keystone.